News: 5 Stars for Monitor Audio's Bronze AV System & What Hi-Fi? Awards! 5 Stars for Monitor Audio's Bronze AV System & What Hi-Fi? Awards! 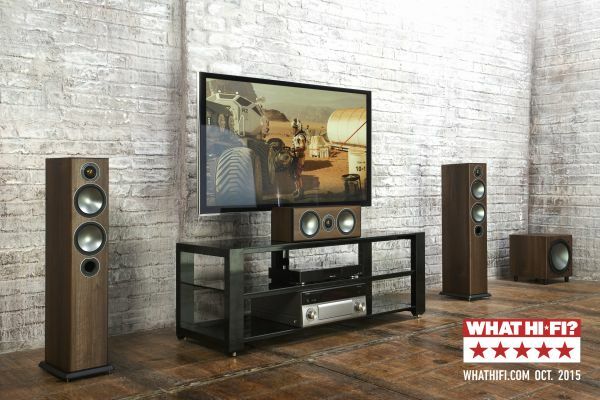 Before you upgrade your AV sound, check out the 5-star verdict from the experts at What Hi-Fi? Bronze 5AV: Product of the Year!!!!! MONITOR AUDIO SCOOPS THREE AWARDS AT THE WHAT HI-FI? AWARDS 2015! "This latest generation of Bronze 2 is arguably the best yet. This is a truly complete speaker for the money." "For the money, the Monitor Audio S150 is a remarkable wireless speaker." Sound & Image carries the entire Monitor Audio Range. The Bronze range comes in a choice of four vinyl finishes - Black Oak, Walnut, Rosemah and White Ash. At Sound & Image we are extremely excited, but not surprised, at the Monitor Audio Awards. The Bronze series will transform the quality of your home entertainment at a price that won't break the bank. Book a demo at Sound & Image and listen and hear for yourself how beautiful great value can sound.